Willowbrook Bridge forms a pair with the bridge in Commercial Way (although they differ in detail). Originally completed in 1870, the single-span wrought-iron bridge displays some of the best cast-ironwork of the Victorian period. One of the many canal-side pubs in these parts, the Waterman’s Arms stood alongside the bridge in the 19th century. 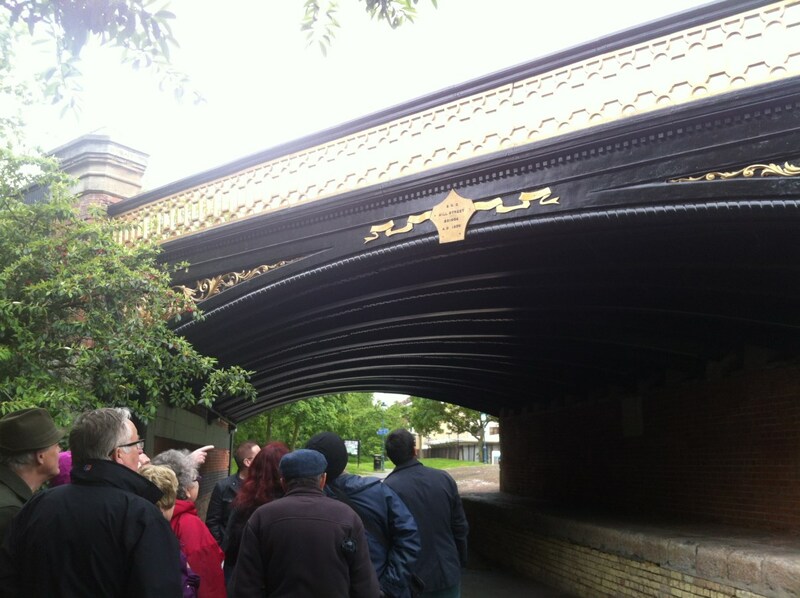 Two fine Victorian bridges over the 1826 Peckham branch of the Grand Surrey Canal survive, whilst most of the bridges over other parts of the former canal have been removed. This bridge was previously known as ‘Taylor’s Bridge’, but when it was rebuilt in 1870, it was decided to rename it ‘Hill Street Bridge’, although it was still referred to in official documents by the old name. 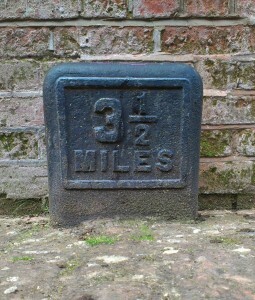 The Commercial Way bridge, further south, was known as ‘Globe Bridge’. 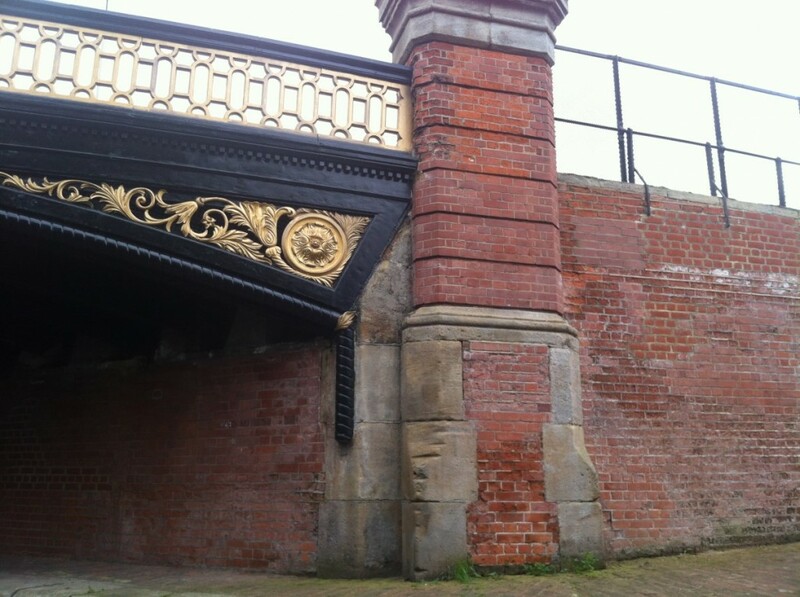 The 1870 bridge replaced an earlier one, possibly wooden and opening to allow barges through, which had probably begun to cause traffic congestion. 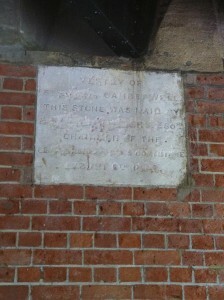 The local vestry, St Giles Camberwell, provided the funds, and the foundation stone, which may be seen underneath on the old towpath, was laid by Edward Dresser Rogers, Chairman of the General Purposes Committee of the Vestry, in 1869. The designer of the new bridge is named in the records as Mr. Dredge, Junior, a civil engineer. At that time, a civil vestries existed all over London, the equivalent of a borough council. The vestry took its name from the old church parish of St. Giles, which had existed for hundreds of years and which still thrives today, worshipping in its prominent church in Camberwell Church Street, built in 1842-44 to the designs of by Sir Gilbert Scott. The civil vestry was superseded by the Metropolitan Borough of Camberwell in 1900. The Willowbrook Road Bridge has lately been restored. 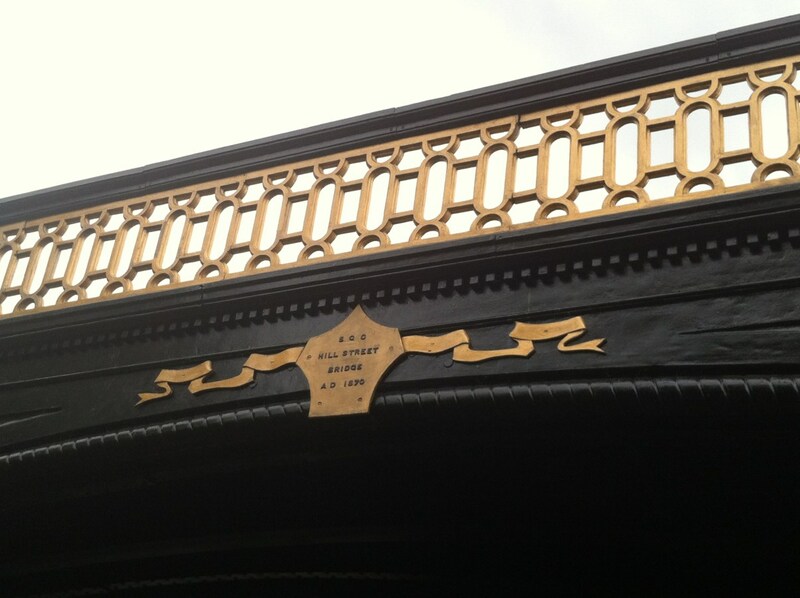 The original labels on the two parapets may now be read easily: SGC [St Giles Camberwell] Hill Street Bridge 1870. 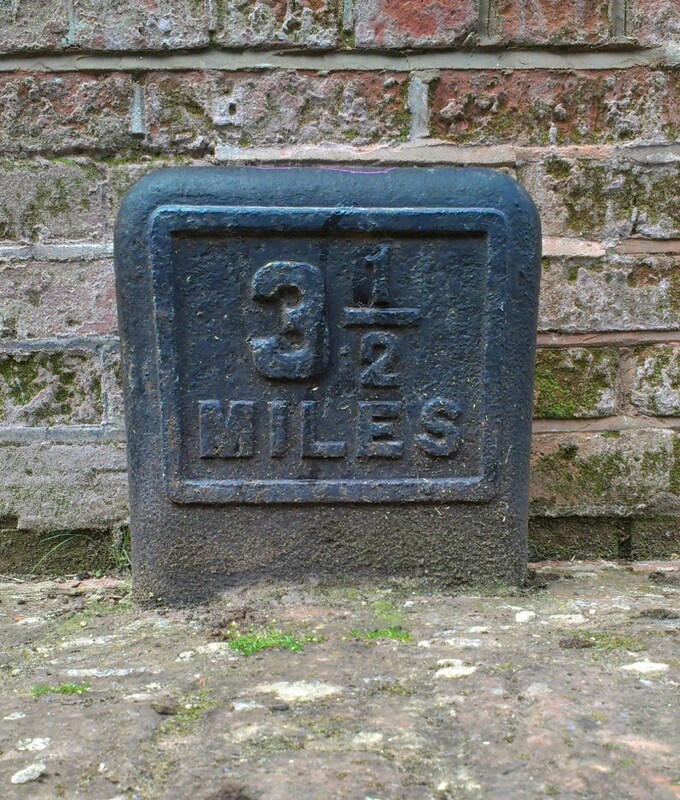 Another unique survivor on the entire canal is the milepost just adjacent to the bridge, set into the towpath. 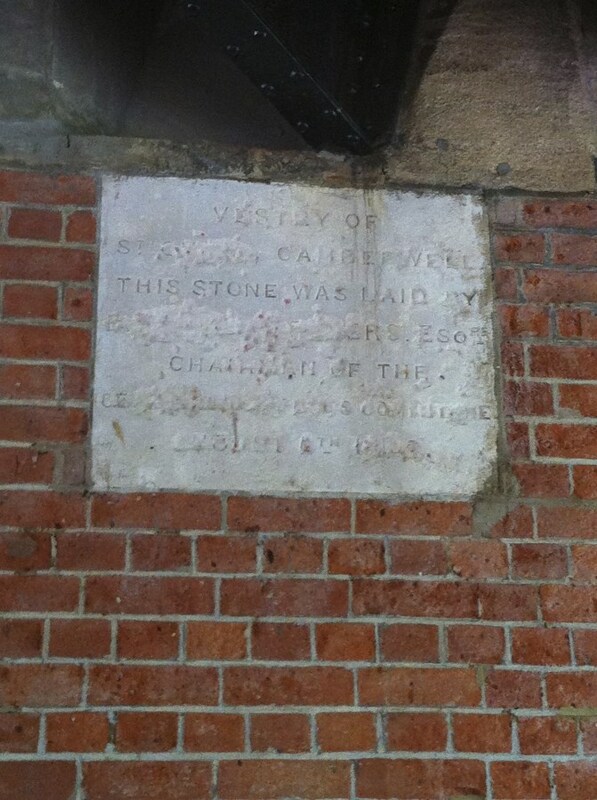 Enjoyed the story which helped clear up a bit of a mystery viz that defaced foundation stone. Interesting to hear about Walworth School – you must have many memories – it sounds a remarakable place. I saw the film ‘Two Bob’s Worth of Trouble’ at the Walworth Festival a few weeks ago which was made by the pupils of an English class there in about 1961. Apparently the English teaching was very forward thinking and school had a very high reputation at that time. The film is available at the Southwark Local History Library and Archives, and is described here. There’s also some older information on the school here, which I see Roy has been contributing to! I think the study on English teaching mentioned on that site has been published now.